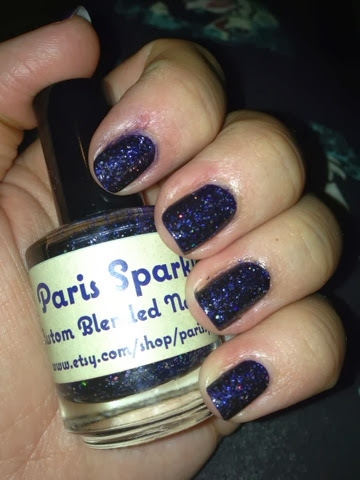 I got this beauty when Paris Sparkles had a 5 for $25 offer. 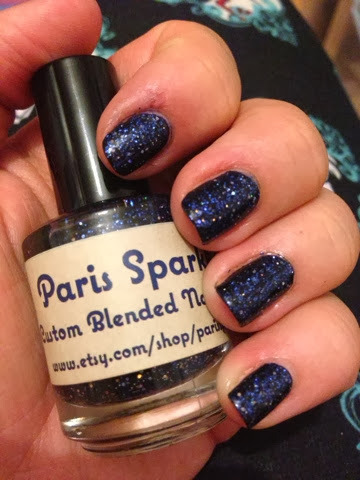 Midnight in Paris is navy holographic glitter suspended in a navy jelly base. 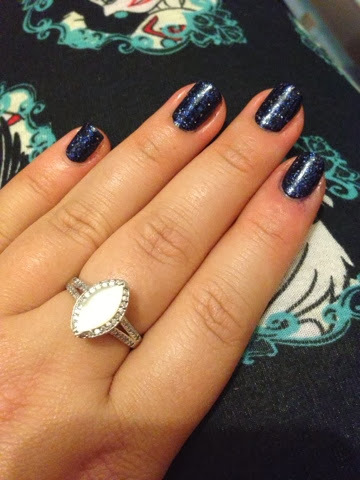 Doesn't it look well with my gorgeous new mother of pearl rings. And hers the bargain undies. 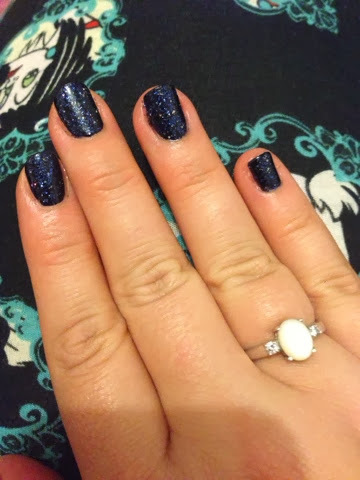 This natty polish is a 1 coater and only cost me 1TL. That's about 30p!